Update: We have disabled Greylisting accross the board since it was confusing too many users. We will re-enable whenever cPanel offers to enable this and default to “disabled”. If you use our advanced email service for your domains and have a package that includes email hosting, your account will have been upgraded to add greylisting service. 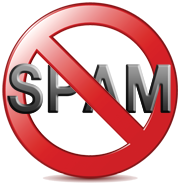 Greylisting is a great weapon in the ongoing war against spammers. Greylisting is quite simple in it’s implementation and takes advantage of how most spammers set up their servers to send out spam.